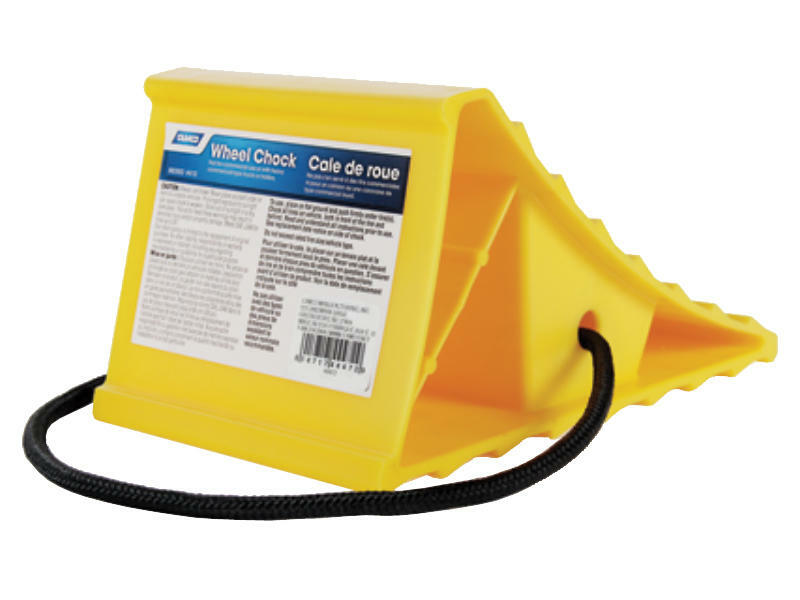 Chocks keep your trailer in place so you can re-hitch with confidence. Solidly constructed of durable hard plastic with UV inhibitors. Includes permanently attached rope for easy retrieval. Sold each.